The day I've been waiting for has finally arrived. I hinted at something fun back in my Cosmoprof 2016 post, but I didn't tell you guys what it was because it was still in the works. Today I get to share the brand new Morgan Taylor Designer Plates Nail Art Stamping Kits! There are three kits currently available, and I have two of them to share with you. 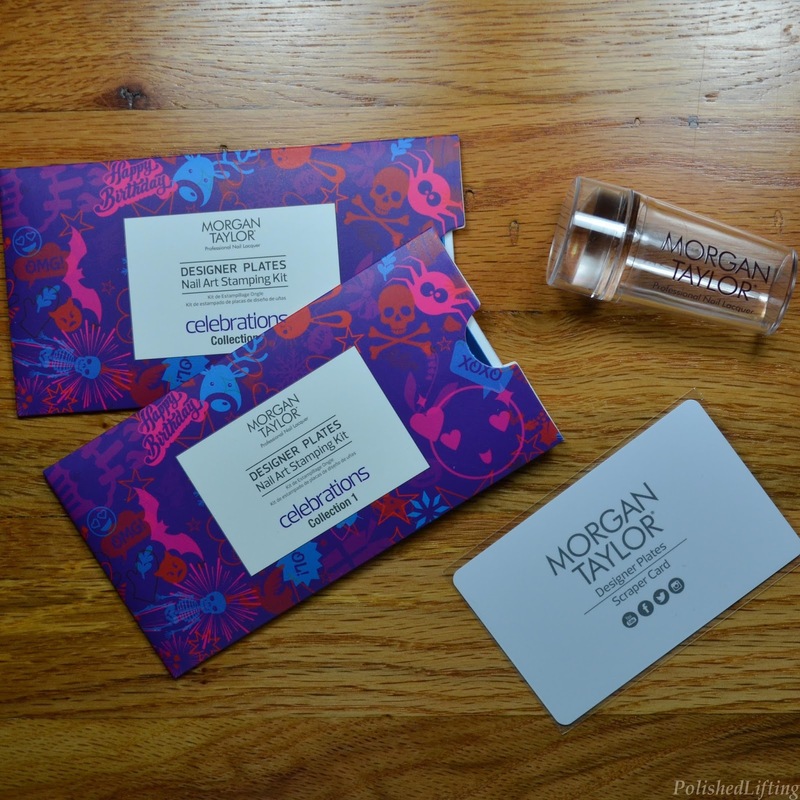 Today's post is going to focus solely on the Morgan Taylor Celebrations 1 kit. How cute is that packaging?! They carry that theme over to the stamping plate sleeves, which I find to be a nice touch. 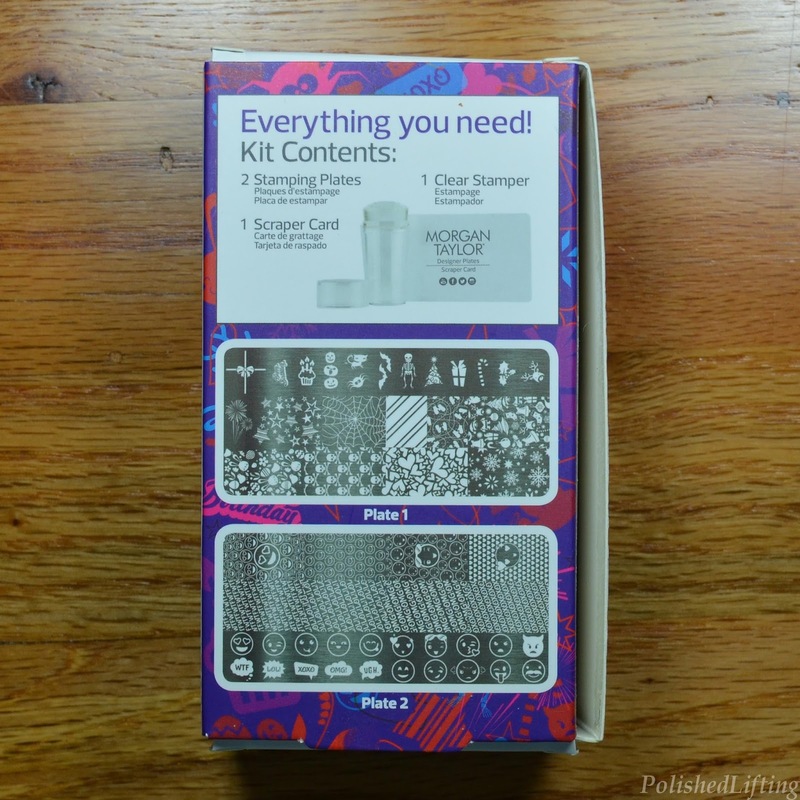 The stamping kits all come with steps printed on the side of the box. As you can see, it's fairly straightforward. My only revision would be to roll the stamper across the image gently from left to right or top to bottom (whatever is most comfortable). I find that a rolling motion picks up images a bit better than pressing straight down. 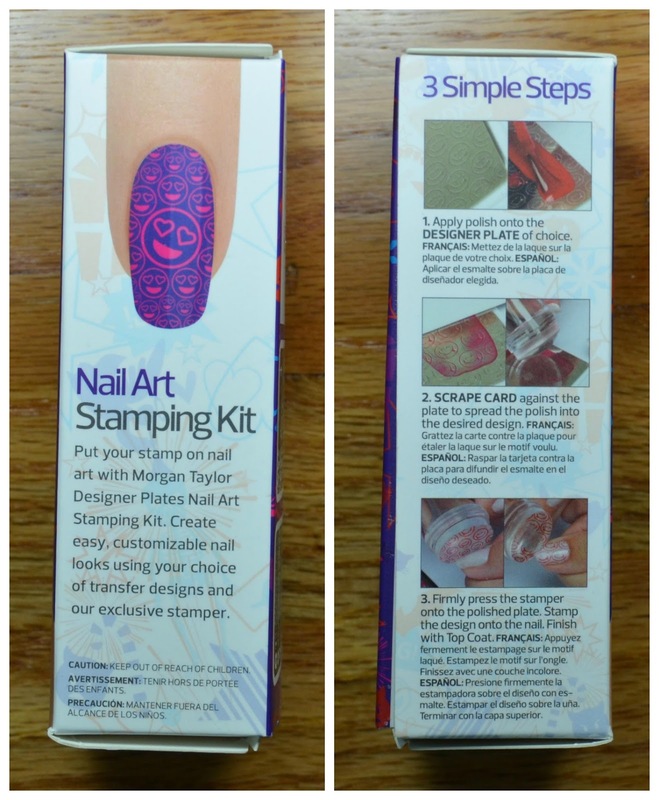 The Morgan Taylor Designer Plate Nail Art Stamping Kits are all inclusive, so they are fantastic for beginners. 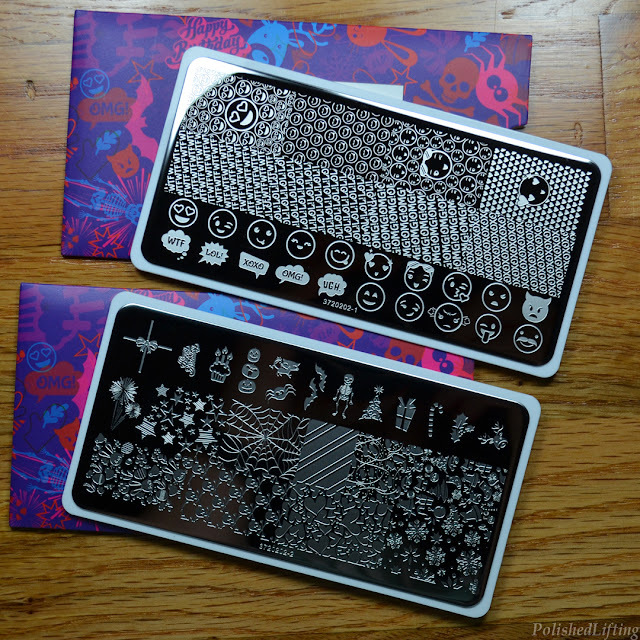 One of the things I found most daunting about stamping was trying to find a stamper that worked with the plates I had. This takes all of the guesswork out of the equation. I love well designed packaging, so I had to stop and share the stamping plate sleeves with you guys. I think it adds a really nice touch to the kit. It also makes it easy to find these plates in your collection since the sleeves are so distinctive. The first Morgan Taylor Celebrations set contains one emoji themed plate and one holiday themed plate. I decided to do a mani using each plate to get a good feel for the kit overall. The emoji themed plate stamped quite well, and had a lot of opportunities to create nail art decals. The only thing I would note is to not scrape parallel with the "x" in the "xo" pattern otherwise your scraper may remove too much polish. Even the softest Morgan Taylor shades seem to stamp well with the Celebrations 1 stamping kit. I wanted to do something a little more challenging to see if the plates could live up to it. I was quite happy with how crisp the lines came out with this gradient. If you enjoyed this post you might like Morgan Taylor React Max Strengthener + Base and Morgan Taylor Beauty and the Beast Collection.